Rousseau, George S. Nervous Acts: Essays on Literature, Culture and Sensibility. Palgrave Macmillan. 2004. ISBN 978-1-4039-3453-6. ^ Broad, C.D. Ethics And the History of Philosophy. UK: Routledge. 2000. ISBN 978-0-415-22530-4. ^ Seigel, Jerrold. The Idea of the Self: Thought and Experience in Western Europe since the Seventeenth Century. Cambridge: Cambridge University Press (2005) and Charles Taylor, Sources of the Self: The Making of Modern Identity. Cambridge: Harvard University Press (1989). ^ Farr, James. 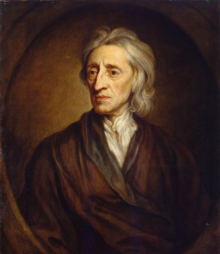 Locke, Natural Law, and New World Slavery. Political Theory. 2008-08-01, 36 (4): 495–522. ISSN 0090-5917. doi:10.1177/0090591708317899. （原始内容存档于2016-09-01） （英语）. ^ Locke, John. An Essay Concerning Human Understanding. Ed. Roger Woolhouse. New York: Penguin Books (1997), 307.